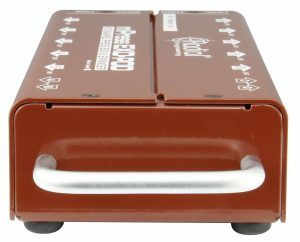 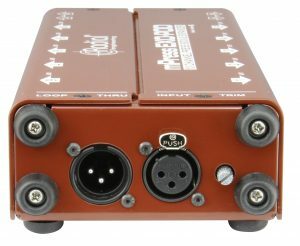 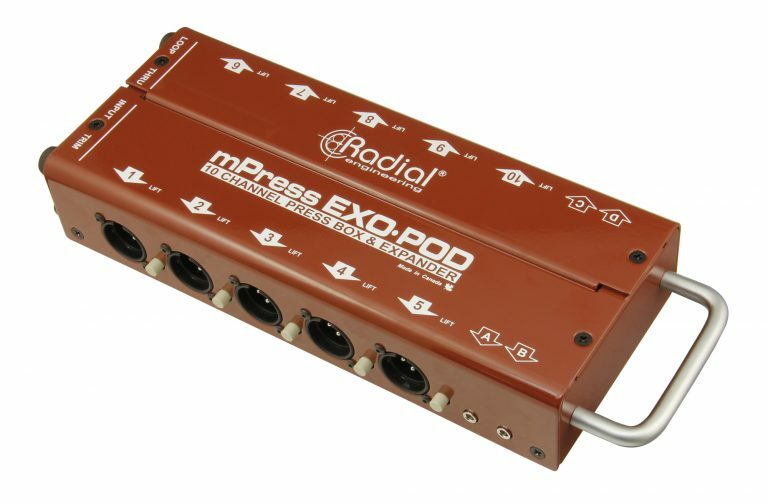 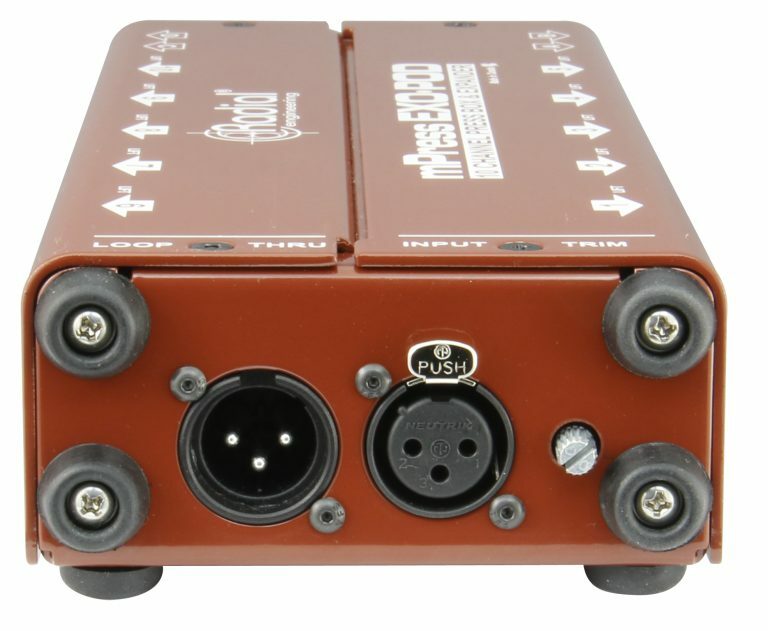 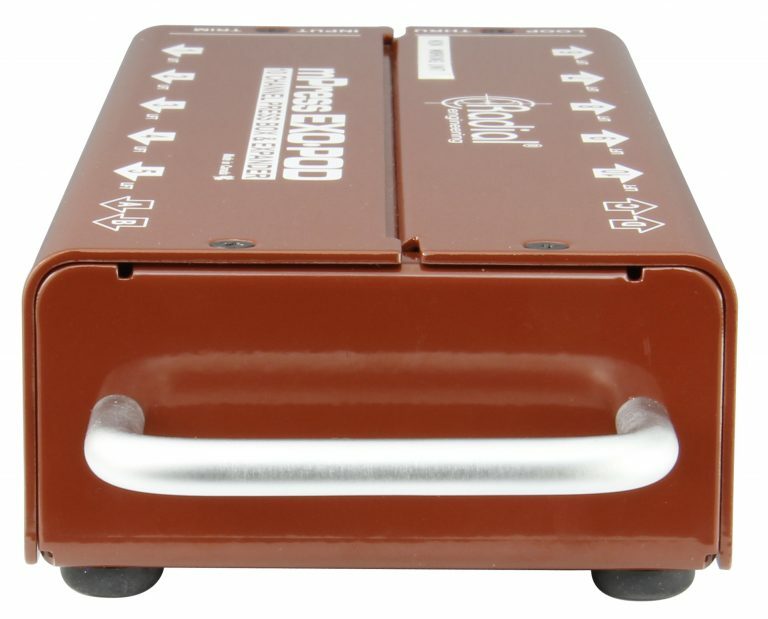 The Exo-Pod™ is a passive broadcast splitter than can take a balanced line output from a mixing console and distribute the signal to up to 14 recording devices. 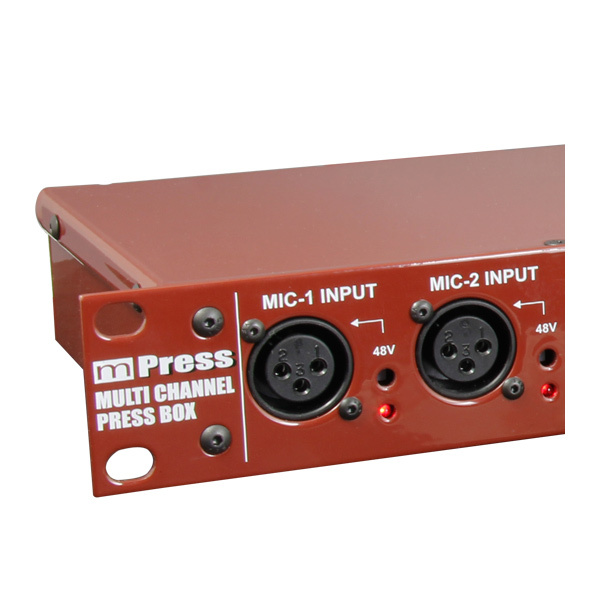 It can also be used in conjunction with the Radial mPress master press box to create a modular solution that provides hundreds of individual press feeds. 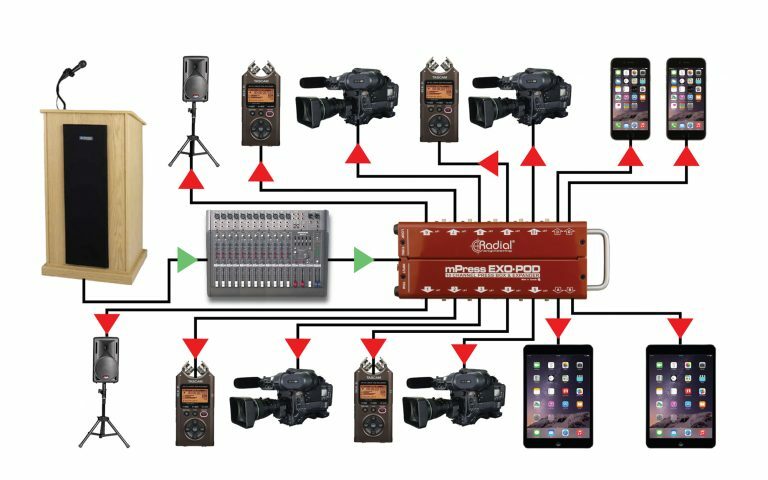 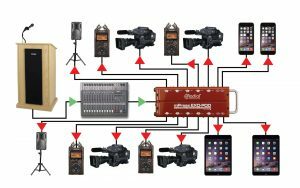 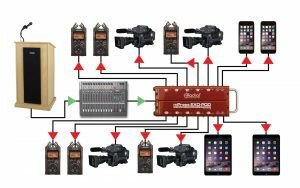 The Exo-Pod take a line-level XLR input and splits it cleanly to ten XLR outputs and four 3.5mm TRS jacks for connection to video cameras, hand-held recorders, tablets or other media systems. A variable input trim allows the broadcast technician to reduce the global output level locally for convenience, and all of the outputs are transformer isolated to eliminate hum and buzz that is often encountered due to ground loops. 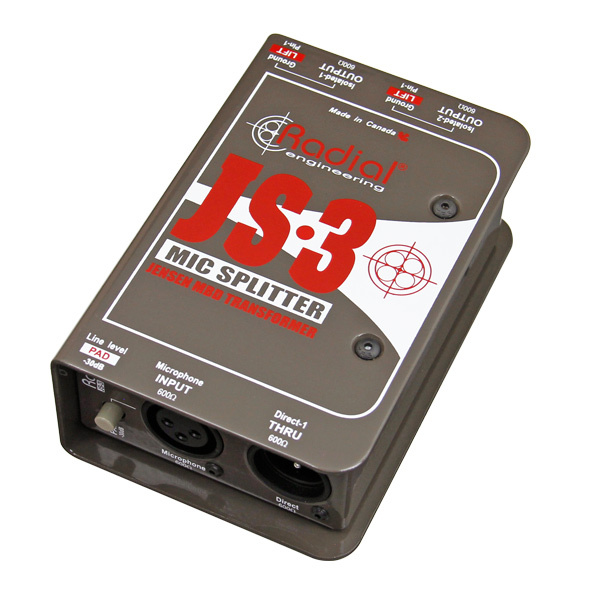 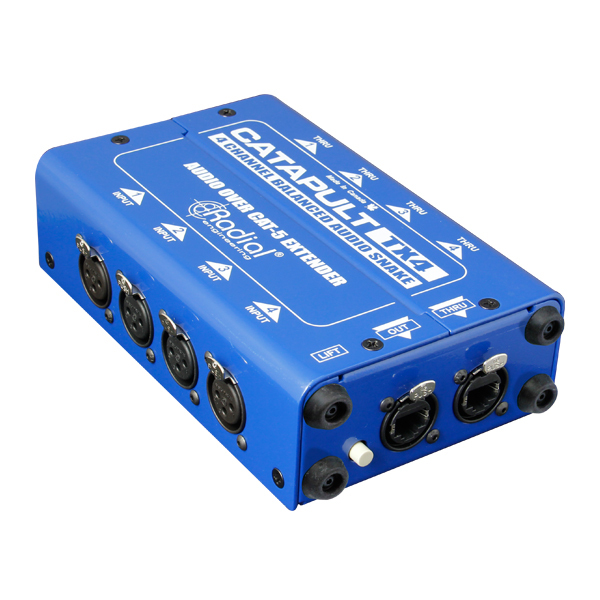 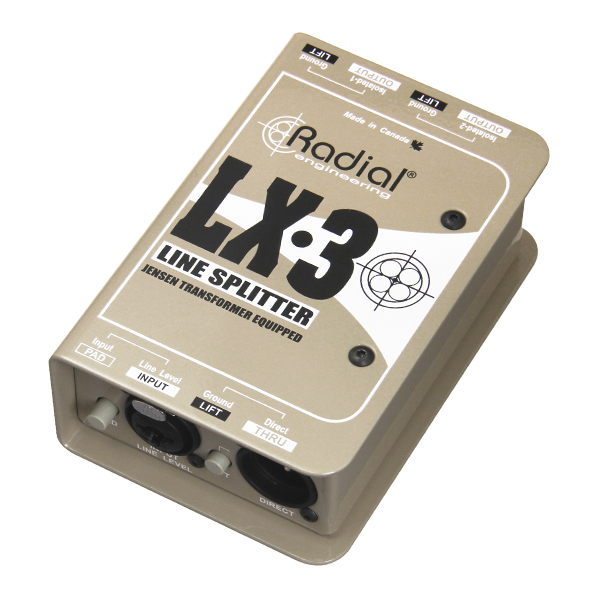 The XLR outputs are supplemented with individual ground lift switches to further abate noise, and an XLR thru connector allows multiple Exo-Pods to be linked together to provide an expandable solution to handle events of any size. 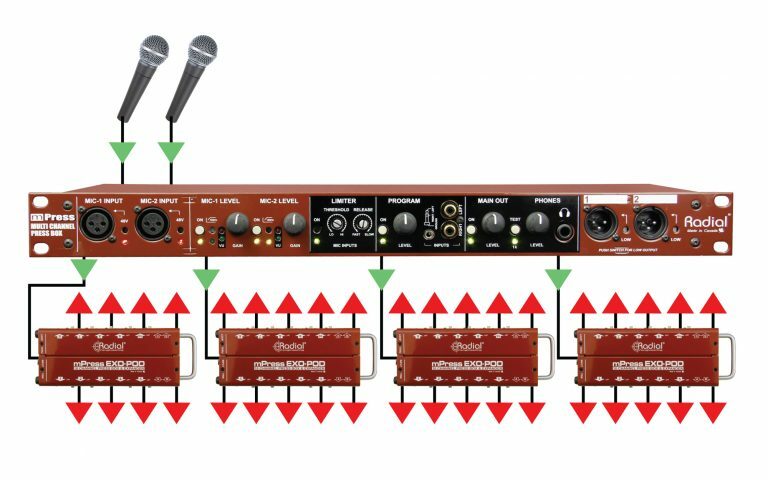 In addition to feeding the press gallery, send the signal to the mic-level inputs on your PA speakers to fill up your meeting room or convention space.